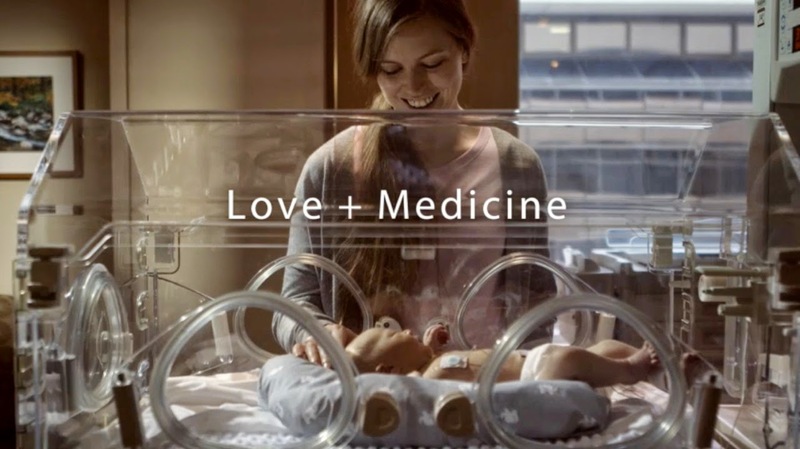 kaboom director/DP michele atkins captures stories of tenderness in a new campaign for Gundersen Health System via agency Preston Kelly. The spots are based on actual events and services patients experience at Gundersen that ease the stress of hospitalization. The small but powerful acts of kindness translate into exceptional care and subtly moving vignettes. "HealthCare advertising can be cold and confusing," according to Chris Preston Creative Director at Preston Kelly, "Or worse, a sea of smiling doctors and preternaturally happy patients. We wanted to do work that reflected the authenticity of the relationships Gundersen Health has with the regular Midwestern people it serves--and we needed a director who could portray the touching reality of care, without the usual saccharine the category is known for." Throughout the process, atkins and the agency creative team enjoyed a close collaboration and a shared a vision for how the stories would unfold. For Baby, which features a real baby born at Gundersen, atkins and the agency team sought actors whose voices could come together in a quiet performance of Bob Marleys Three Little Birds rather than a bombastic, Broadway delivery. In Therapy Dog, shot in part from the dogs POV, the starring canine is an actual healing hound. Director atkins, who is known for extensively pre-visualizing her projects, says she was able to satisfy her location wish list at the hospital, thanks in part to the institutions interior designer who was on hand during the shoot. This added a layer of authenticity throughout including the ability to create the illusion of an outdoor family adventure that unfolds to reveal a hospital room in Camping.